On 14 April, Algerian protesters gather at a landmark in Algeria, Le Grande Poste eager for independence from their government. 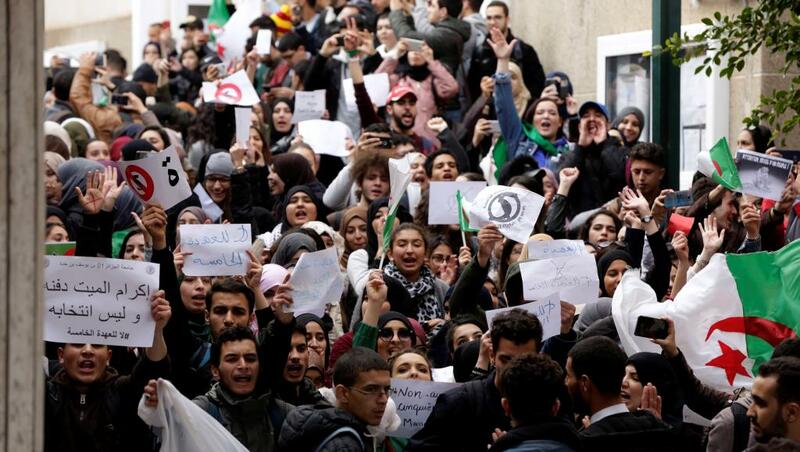 Friday has become a common day of protest in Algeria over the matter. Removing Abdelaziz Bouteflika, an Algerian veteran ruler from the government party leaves Algerians to believe this is just the beginning of their freedom. Undercover police have been embedded into the crowds of protesters, ready to arrest. Speaking out by the use of cameras, or posters will draw the surrounding police’s attention in order to detain the protesters, especially without their government-issued accreditation. It is evident that the youth is controlling the protest through the use of social media.